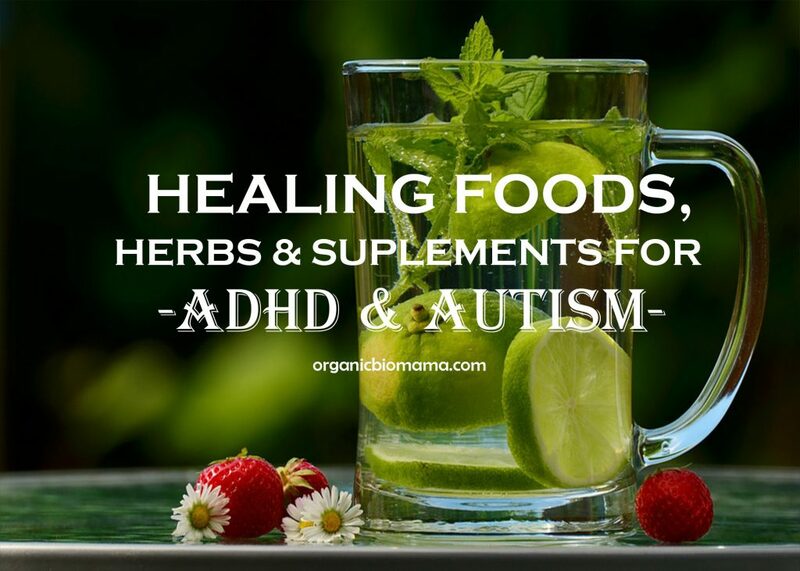 There is a misconception that ADHD and Autism are the results of a poor gut health. Improving the gut health is good for general health, however, it doesn’t address the underlying cause of ADHD and Autism: heavy metals. It is easy to be exposed to heavy metals nowadays. Aluminum and Mercury show up in pesticides, fungicides, herbicides, soda cans, aluminum foil, and others. A baby can easily take in heavy metals from his or her mother while in the womb. Father can pass along heavy metals at conception too. Mercury is a neurotoxin and a great instigator of ADHD and autism in children. Mercury tends to stay in the body generation after generation unless specific steps are taken to detoxify it. ADHD and Autism are the results of heavy metals (Mercury, Aluminium, and others) that settle in the brain’s midline cerebral canal. The amount of heavy metals accumulated in the brain can be higher or lower depending on the child, so are the related symptoms. Autism is a more advanced form of ADHD with higher levels of toxic heavy metals present in the brain. Toxic heavy metals can be removed from the child’s brain through diet and other detox techniques up to about age 18. At around age 18, the midline between the cerebral hemispheres closes up, trapping any toxic heavy metals that are residing in the canal. To make the brain focus you can provide fresh organic fruits to your child instead of prescription drugs, says Anthony William, the author of “Medical Medium”. Glucose is the brain’s primary food. Consuming fresh fruits gives a child the highest quality glucose possible. Do not eliminate fruits from your child’s diet fearing the sugar in them. Cut out refined sugars, but keep fruits. Eating a high-fat ketogenic diet with no sugar (without fruits in the diet) will help the child stay focused temporarily, but in the, end it will result in adrenal fatigue. Your child NEEDS to get fruit sugar in its natural form to combat symptoms of ADHD or autism. Avoid junk high-sugar foods or high-calorie starches. Cut all wheat products and gluten from your child’s diet. Avoid foods with toxic ingredients like unhealthy oils (corn, canola), aspartame, MSG, dyes, and others. Hawaiian Spirulina removes heavy metals from the brain, helps grow fresh neurons, and strengthens neurotransmitters. Gingko Biloba helps remove mercury from the brain. Ginseng nourishes the adrenal glands. Lemon balm soothes the central nervous system and reduces inflammations. Lemon balm is good for the intestinal tract too. It kills viruses, bacteria, and funguses in the gut. Vitamin B12 as Methylcobalamin or Adenosylcobalamin supports the brain and the nervous system. Vitamin C in the form of Ester-C helps repair damaged neurotransmitters, removes toxins, and boosts the adrenal glands. Zinc supports neurotransmitters by fortifying the endocrine system (the adrenal glands, thyroid, and thalamus). Melatonin helps repair and grow neurons. Magnesium calms the central nervous system and helps the ability to think and learn. GABA (gamma-aminobutyric acid) strengthens neurotransmitters and calms the central nervous system. B-complex vitamins nourish the brain. Probiotics balance the digestive system and boost the immune system. EPA & DHA help repair and grow neurons. Use plant-based versions.